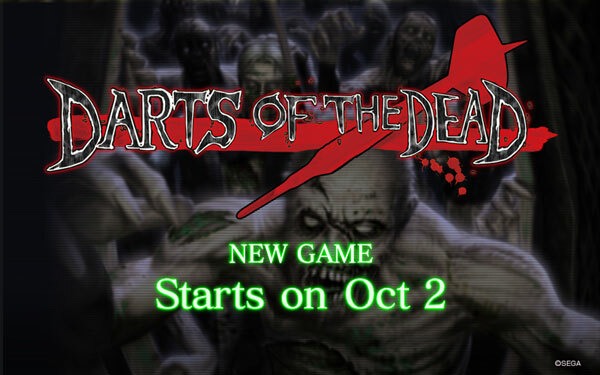 A new game “DARTS OF THE DEAD” will be available on DARTSLIVE2 from Mon Oct 2. Reduce the hit points (HP) of enemy zombies on the screen to 0 or less and complete the levels with your team member(s)! ･The “LIFE” on the screen corresponds to the lives of your team. ･If the HP of the enemy did not go below 0 after one attack of each member of your team, the team lose one life. 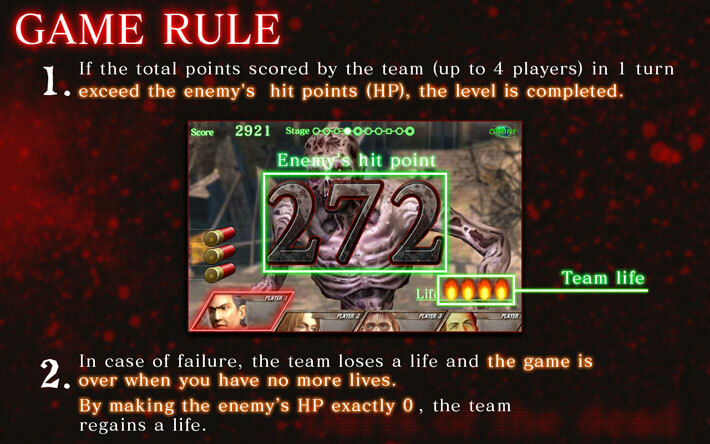 ･Your team will gain one life back if your team reduces enemy HP to exactly “0”. ･The game ends when your team has no life. *The maximum number of team lives is 4. 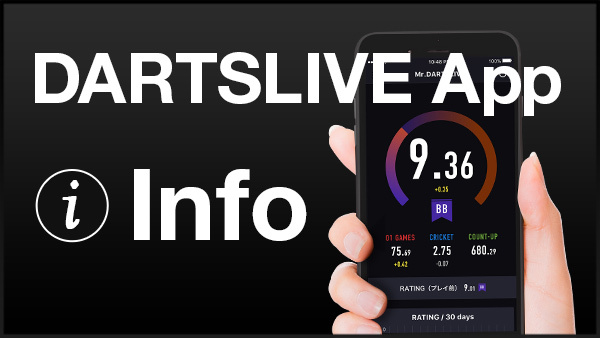 The number of starting lives is calculated based on the average rating of your team. If your team hits all enemy areas (GREEN) at Mission Stages, your team will get one life back. If your team hits your own area (RED), Mission Stage will end. *Even if your team hits your area, your team will not lose any life. ･Players of all levels can enjoy the game together! There are 3 levels of difficulty: “Easy”, “Medium” and “Hard”. Also, the strength of your enemies (number of HP) varies according to the average rating of your team. Beginners and skilled players can enjoy the game together in a team. ･Finish the game using “Continue”! 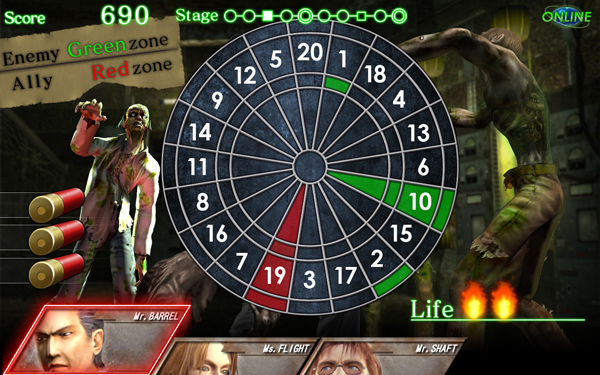 “DARTS OF THE DEAD” has a “Continue” function. Even in case of Game Over, you can continue and try to finish the game. “DARTS OF THE DEAD” has its player rankings. Get an excellent score, and listed higher in the rankings! (3) Life Bonus: Points awarded after reducing the enemy's HP to exactly 0. 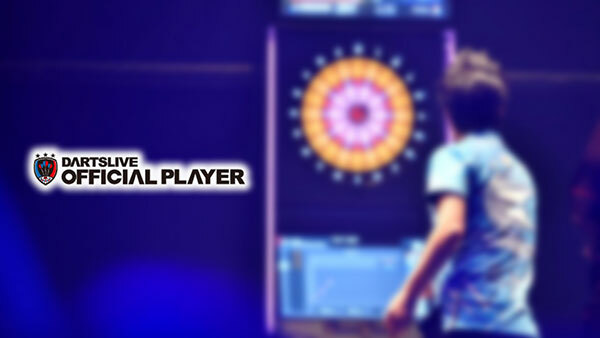 The 2 DARTSLIVE OFFICIAL PLAYERs tried the new game, “DARTS OF THE DEAD”. Did they beat the zombies?